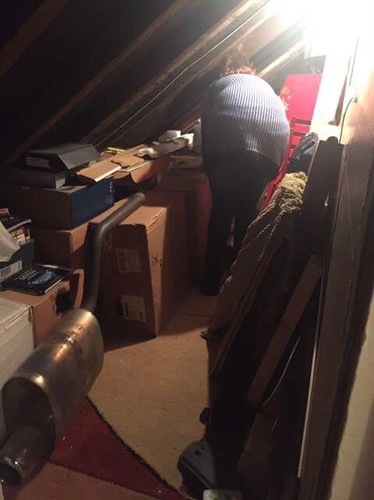 With a lot of help from the Elf I made a start on clearing out the attic. We had so much to shift we had to stop or we would have been completely engulfed in stuff. Some for the tip, some for eBay which the Elf was going to sell, some for the charity shop and some for the animal rescue shelter. Or so we thought. As it turned out the rescue shelter didn’t want either bedding or toys as they already had tons and the charity shop were a bit more choosy than we had anticipated. So we ended up bringing some of it home again – I just can’t put old teddies into landfill. ThunderBeast got his two new shoes so he’s happy. A nice busy day.